Acclaimed photographer Matika Wilbur has partnered with SPSCC to lead a 4-day collaborative mural effort as part of her nationwide tour to encourage Native American college students and build stronger college-tribal relationships in communities: Project 562: In>digenous Land. 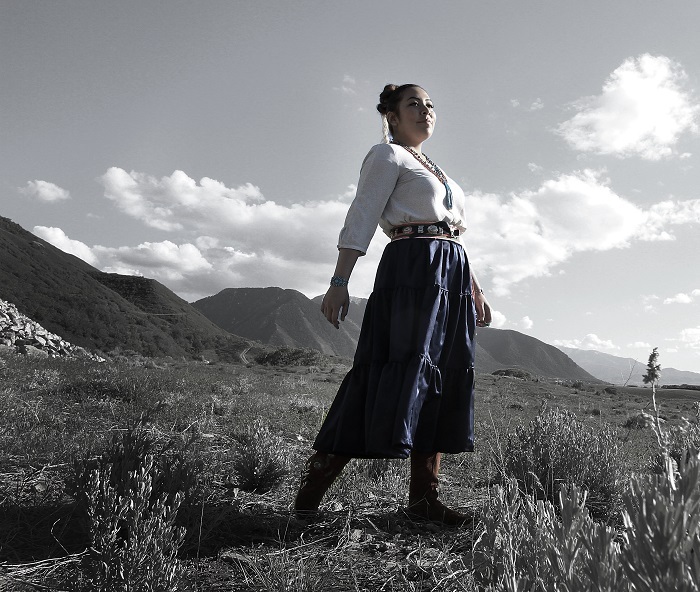 Matika Wilbur, from the Swinomish and Tulalip Tribes, is the creator of Project 562. She will present a combined exhibition, lecture, and mural project that will be conducted at college campuses across the nation. Wilbur will open the dynamic week with a keynote lecture, free to the public, on the Kenneth J. Minnaert Center’s main stage beginning at 7 p.m. on Tuesday, Feb. 21. Wilbur’s own photographs will be on display in The Gallery Feb. 21 – 24. Students get to work with Wilbur the next day through lecture, coaching, and more, when students begin to create a large-scale wheat paste photo mural that will tell the indigenous story of the south Puget Sound community. At the end of their time working with Wilbur, students will install the mural on a campus building. The installation is meant to be a groundbreaking effort that raises awareness while encouraging students, educators, and decision-makers to promote dialogue, build community capacity, and encourage active engagement with indigenous intelligence throughout art and social practice. The week will wrap up with a gallery reception, open to the public, on Friday, Feb. 24 from 6 p.m. to 8 p.m.